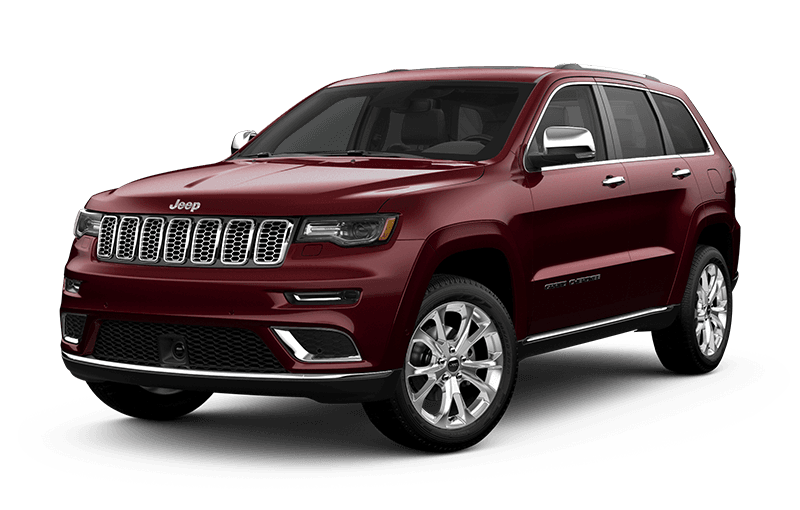 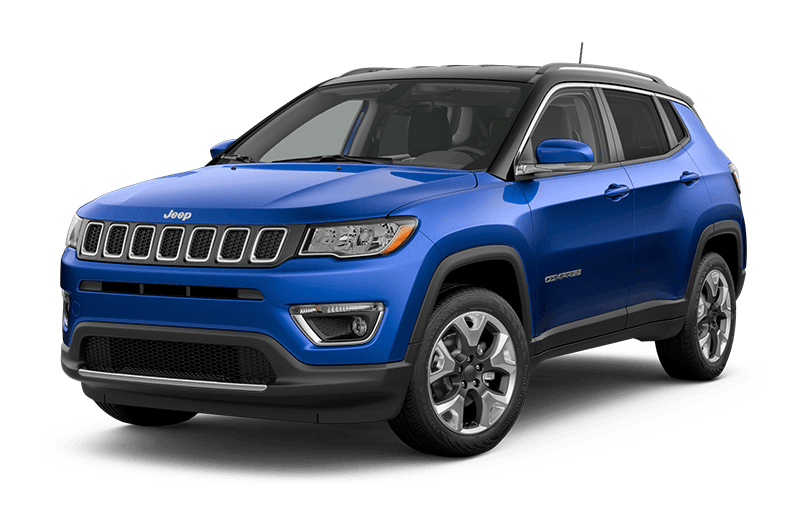 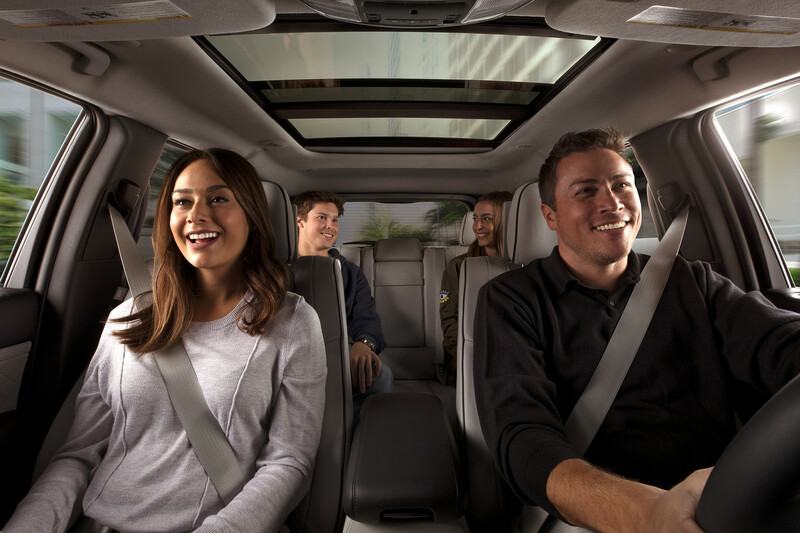 Let upscale audio envelop you while acoustic glass with active noise cancellation sets the stage for you to take advantage of the quiet and spacious interior. 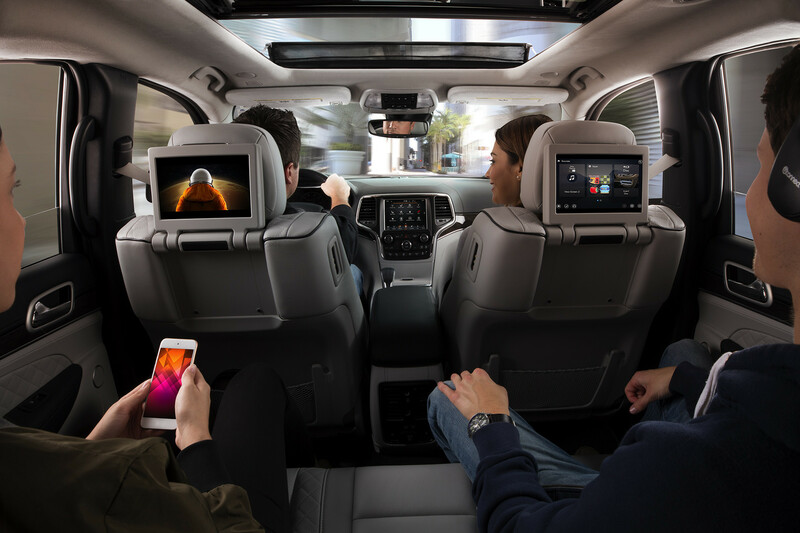 Select the available integrated 9‑inch high-resolution screens to play DVDs and Blu-ray® discs for rear‑seat enjoyment and front‑seat reprieve. 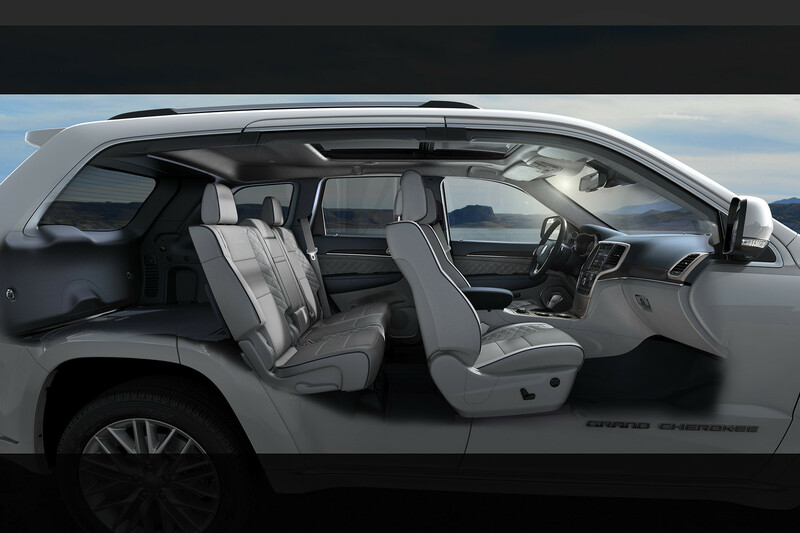 The well-designed cabin seats 5 adults comfortably with enough leg and headroom for everyone, as well as rear seats that recline up to 12 degrees. 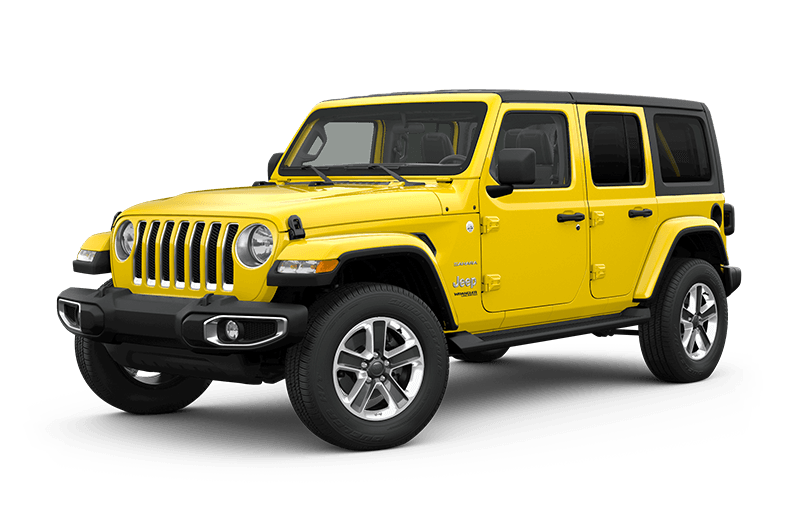 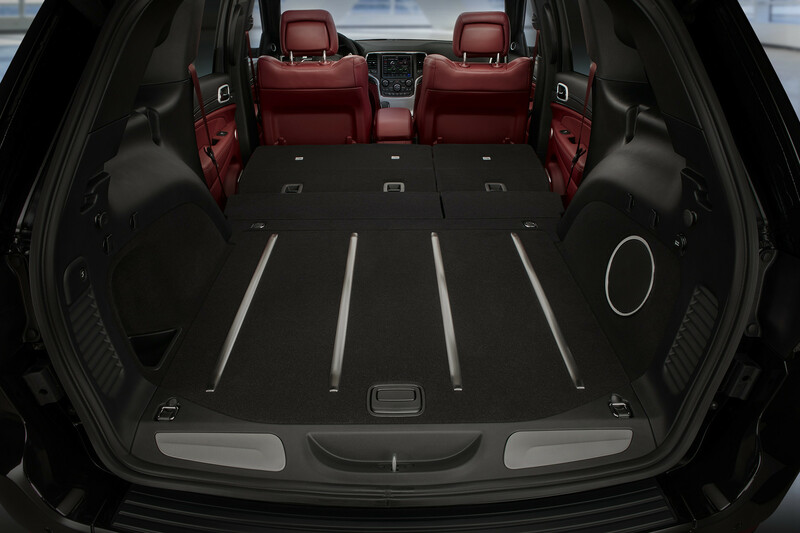 Don’t leave any gear behind and utilize the entire capacity of up to 1,934 L (68.3 cu ft) when you fold down the 2nd‑row 60/40 split rear seats. 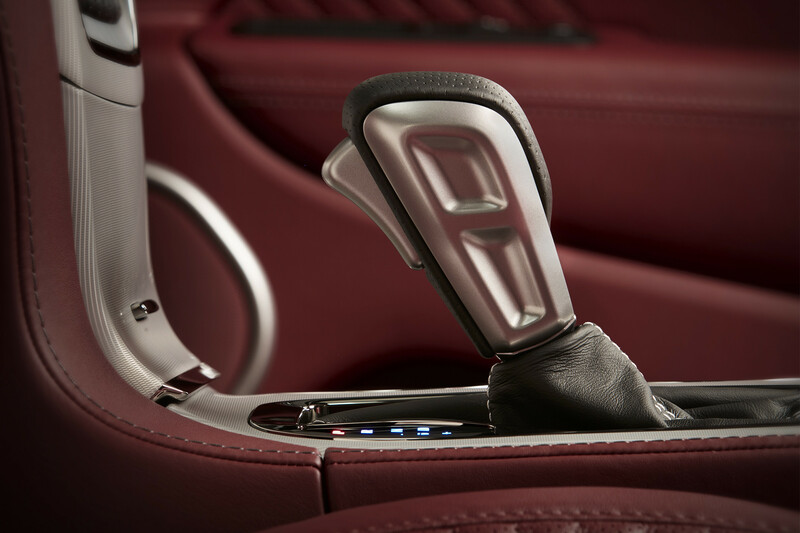 You’ll love the sensuous feel of the leather-wrapped shift knob every time you reach for it. 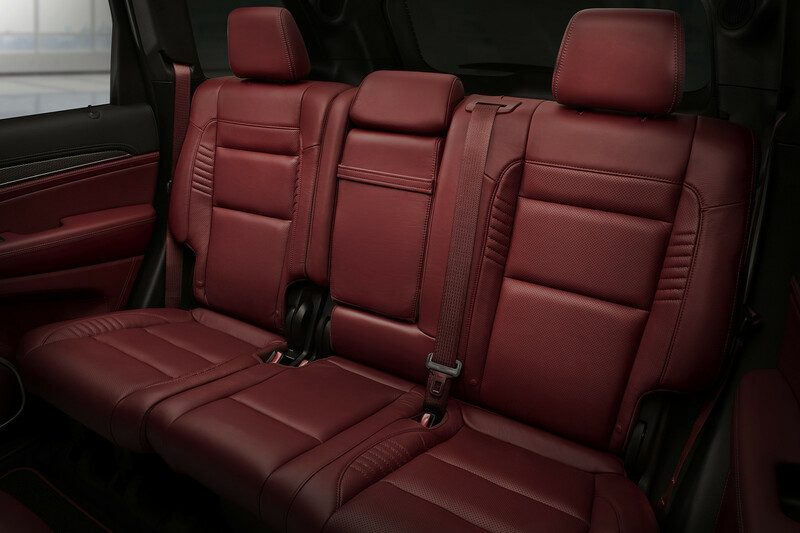 Cushioned and lavishly premium, these Nappa leather‑faced seats with perforated suede inserts feature Ruby Red embroidered accent stitching. 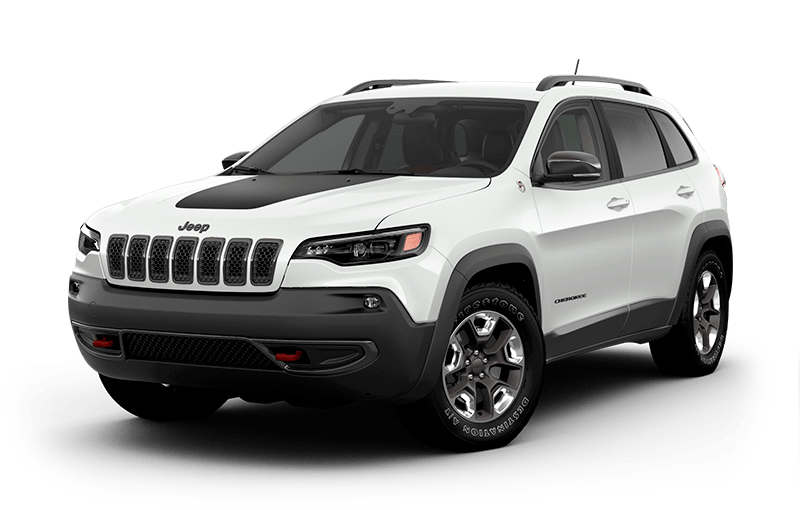 Standard on Trailhawk®. 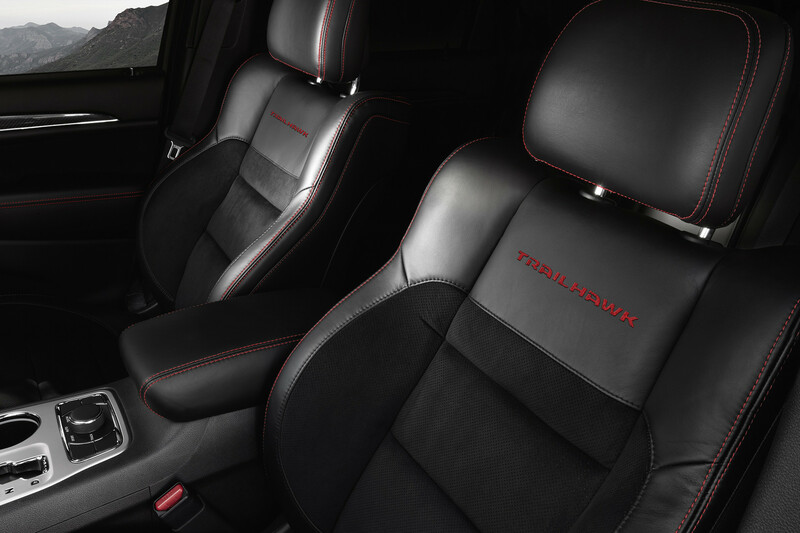 Build the vehicle you want by adding these available Laguna leather seats on your TrackhawkTM - shown here in dramatic Demonic Red.